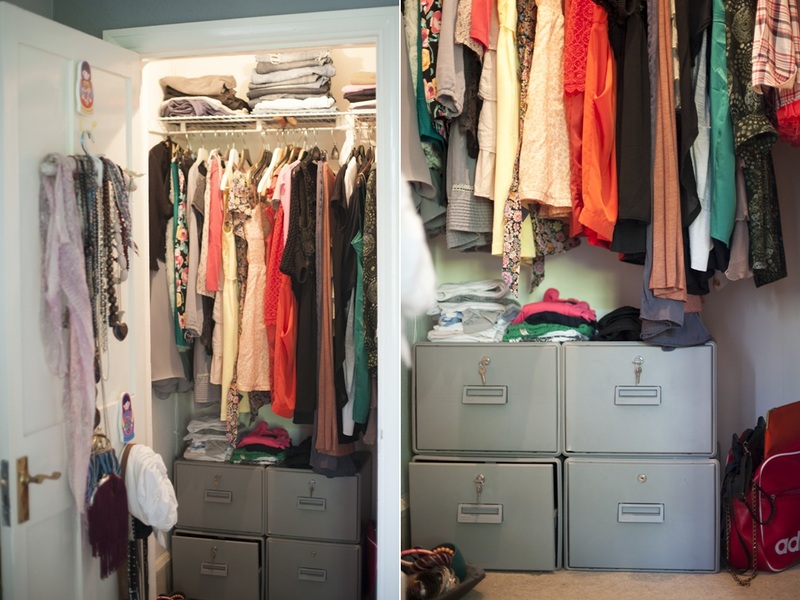 Organizing your wardrobes ~ ideas! I was over the moon when we first moved into our new house! 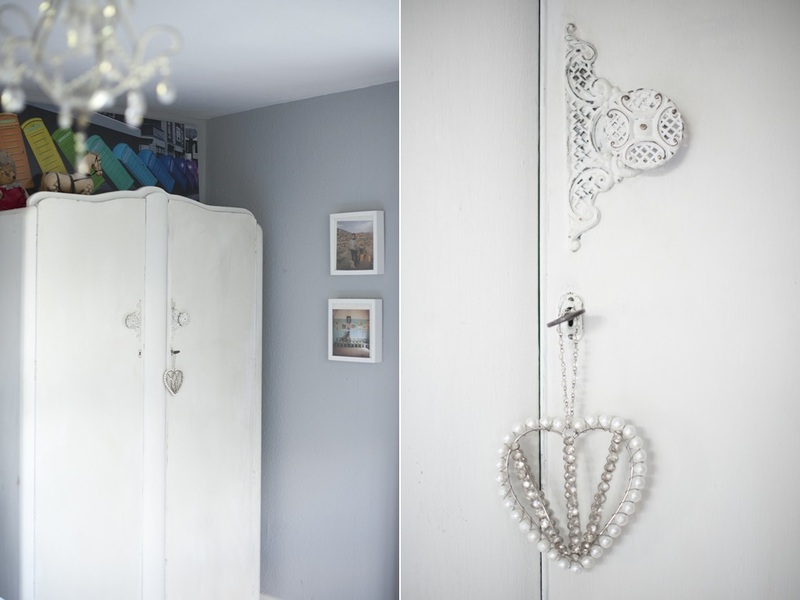 I had a little walking in wardrobe, that I naively hoped to keep just for my self. Three years down the line and I was still sharing my space with the boy! I was not impressed! 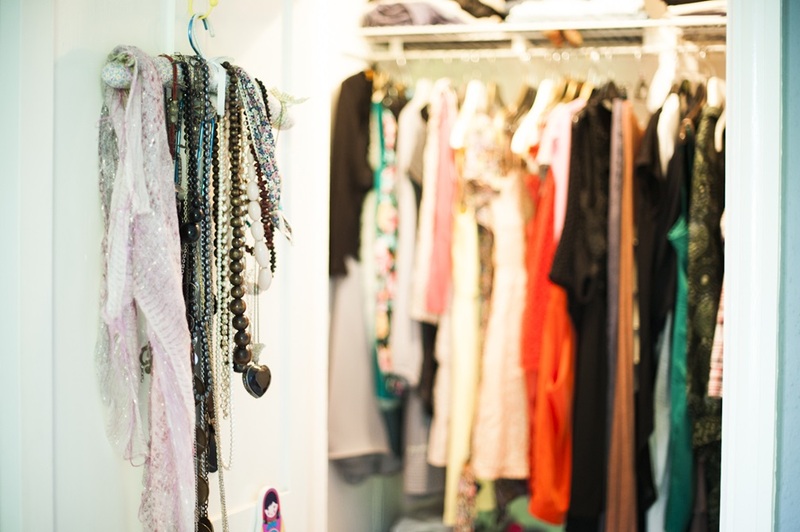 As we didn’t have that much space(read these lines:I have a male version of Imelda Marcos in the house)..I constantly had to swap my winter wardrobe with the summer one! And trust me, climbing up to the attic to store your coats or your dresses was not my favorite thing! Especially as I have so many of both. 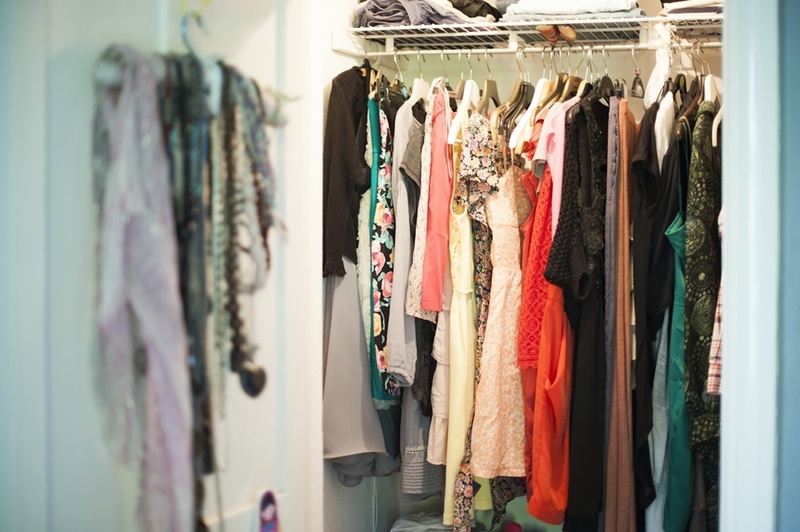 So…what do you do when you lack space and have to share your wardrobe with a guy? It started with us moving out of the spare bedroom and getting our new studio. Spare bedroom become free and suddenly a massive storage of bits and bobs that we accumulated trough out the year. It was a time for a change. The old office shelves were perfect to store t-shirts and all I had to do is install a hanging rail! Quick trip down to the Homebase (metal rail + fitting ends= £15!) Perfection! Here are the photos of before and after! And the guest bedroom, (without the bed!) was turned into a private walking in wardrobe. His! Oh, you should see the joy in Mr. B eyes. He loved it! All of his stuff in one room. Together! Priceless…not even a MasterCard can buy you that. After spending whole afternoon with drills and measuring meter I was ecstatic. I finally get my small cupboard to myself. I spent hours, days, months getting it all into the place. This is what I came up with and no, there is no more daunting trips up to the attic. As I didn’t need my old filing cabinets in our new office, I decided to transformed them into some kind of a storage. In this case, storage for sock, knickers, bras and belts. I am a sucker for hanging clothes in a certain way. I like to hang mine by lengths, shapes, materials and colors. Hence it looks like this. 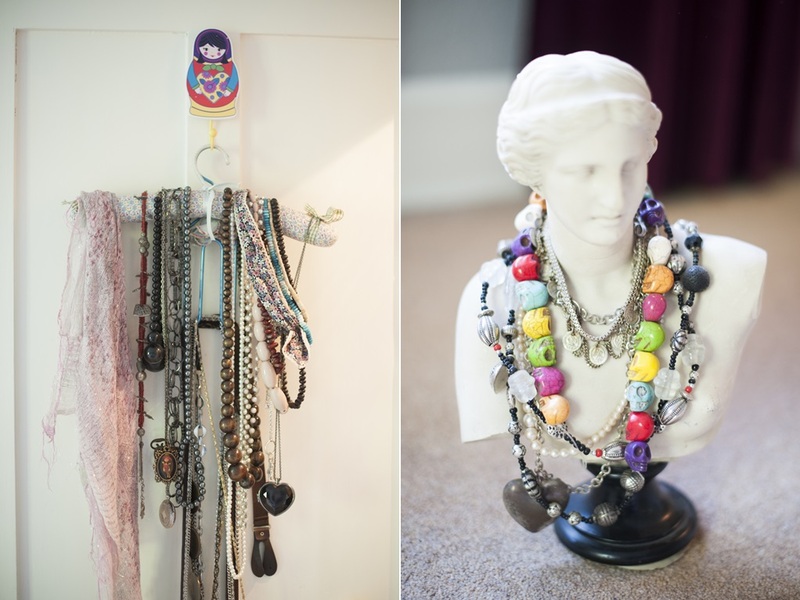 Whilst cleaning rooms, I’ve found this old & cute material hanger which I hanged on the door of my cupboard together with my favorite necklaces. I have still kept my vintage wardrobe for my coats and fancy dresses as I don’t use them that often. 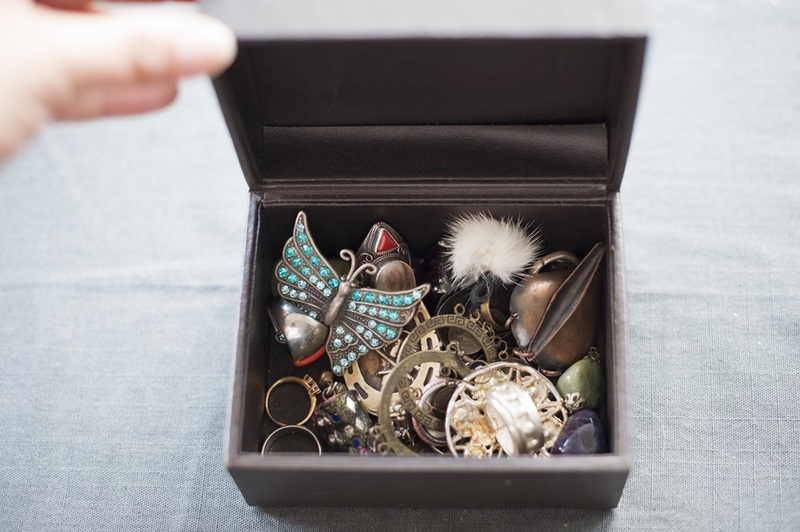 This is my favorite box where I keep my little trinkets and brooches. It was bought for me by one of my besties ~ Matea, my bridesmaid and dearest friend. I will finish this post by a framed picture of us on our wedding day which is perked up on the top of the chest. 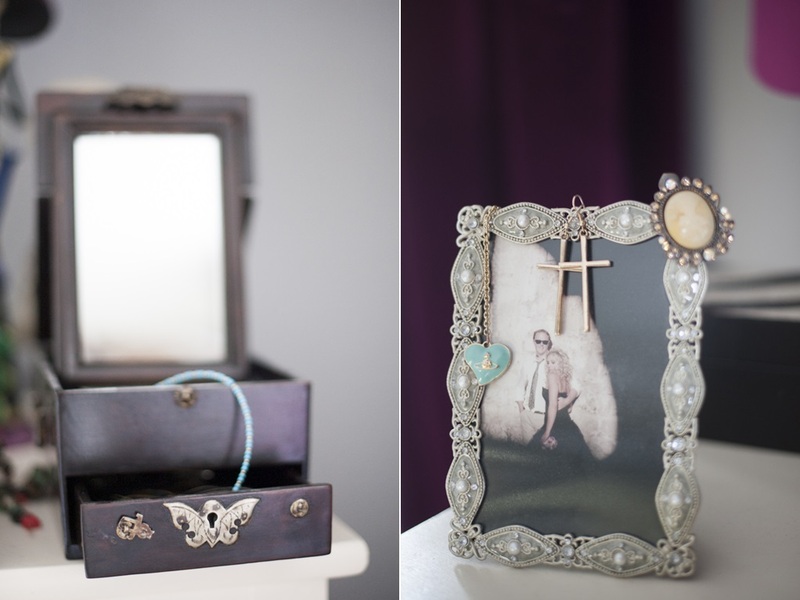 Frames can be used to store your jewelry too! 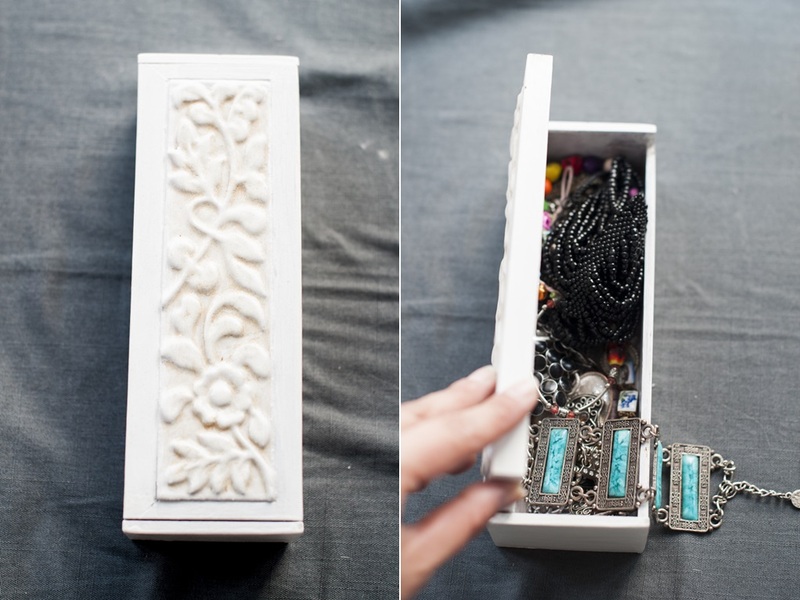 How do you store yours? Done any spring cleaning recently? Would love to hear your troughs? I have a confession to make. I’ve started buying Country Living & Country Homes & Interiors. I even asked my other half for a year subscription the other day. A perfect Christmas present. I mean whats the point of buying me something I don’t like? So this year I decided to ask for my presents in advance. Don’t get me wrong trough. I’m still really into my Vouge & Glamour and the joys of walking into shop spotting them on the shelves it’s beyond indescribable. However we have a house now, a home and its getting cold out there baby! I’ve noticed this lovely duvet set in Country Living magazine the other day and I’m seriously considering to spend some monies. I just love the warm neutral colors and all the patterns. I think it would look beautiful in my bedroom. I want it. 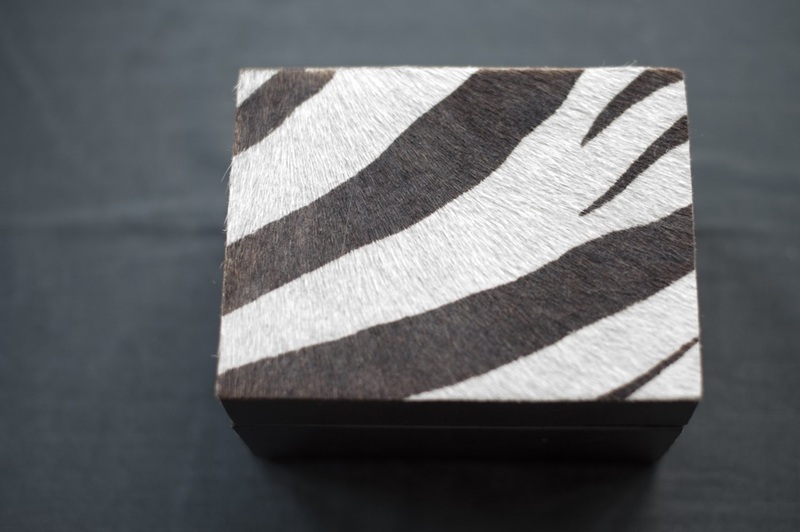 I am always on a lookout for something new to buy and add to my home. Some cosy snoozy warm textiles to fill the space up & empty the wallet. Oh, the joys of spotting & SHOPing. Photo credit: Achica -Aberdeen king duvet originally from the Linen House.